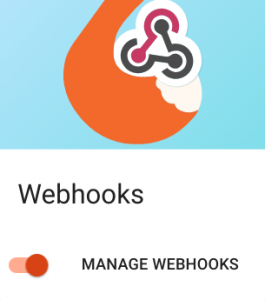 We have released a brand new and much-anticipated feature – webhooks! This is our first pro-level feature, and it will allow you to integrate Simply Schedule Appointments Pro with thousands of apps. Webhooks are a way to send data between different sites/services. 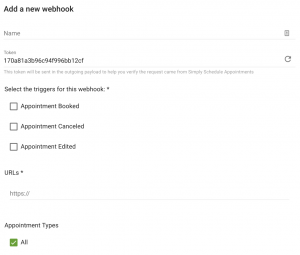 Your CRM or email tool might support webhooks, and there are services like Zapier and IFTTT that make it easy to connect a webhook to thousands of applications you already use. For more information on Webhooks, see our blog post. You can optionally give each webhook you set up a name to help you keep them straight. Then each webhook is given a unique token which you can use to verify the request. To refresh the token, just click the refresh arrow on the right-hand side of the token field. Then you’ll select which actions should trigger the webhook and put in the URL(s) for the webhook. 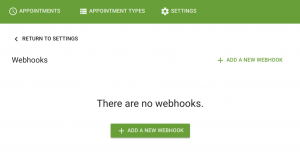 Finally, you can select all appointment types, or select certain appointment types for the webhook.